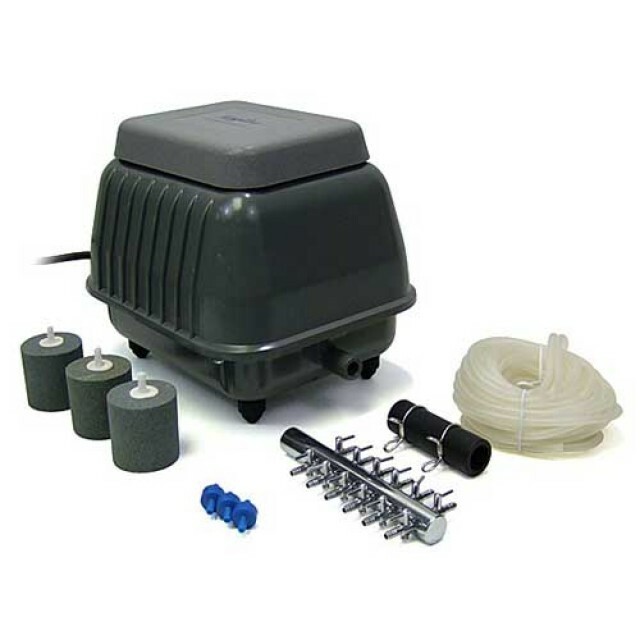 Laguna Aeration Kit 45 include everything you need to oxygenate your pond for a clean and clear aquatic ecosystem. In winter, it creates an opening at the pond surface and prevents pond surfaces from completely freezing. This allows the release of toxic gases and the replenishment of fresh oxygen that is critical for the survival of fish. In the summer, it provides supplemental aeration which improves the quality of pond water and its inhabitants. 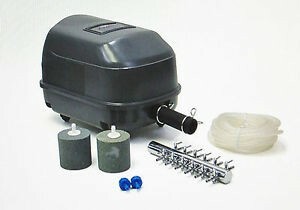 Laguna Aeration Kit 75 include everything you need to oxygenate your pond for a clean and clear aquatic ecosystem. In winter, it creates an opening at the pond surface and prevents pond surfaces from completely freezing. This allows the release of toxic gases and the replenishment of fresh oxygen that is critical for the survival of fish. In the summer, it provides supplemental aeration which improves the quality of pond water and its inhabitants.